The Mo Dining Table by Star International Furniture. 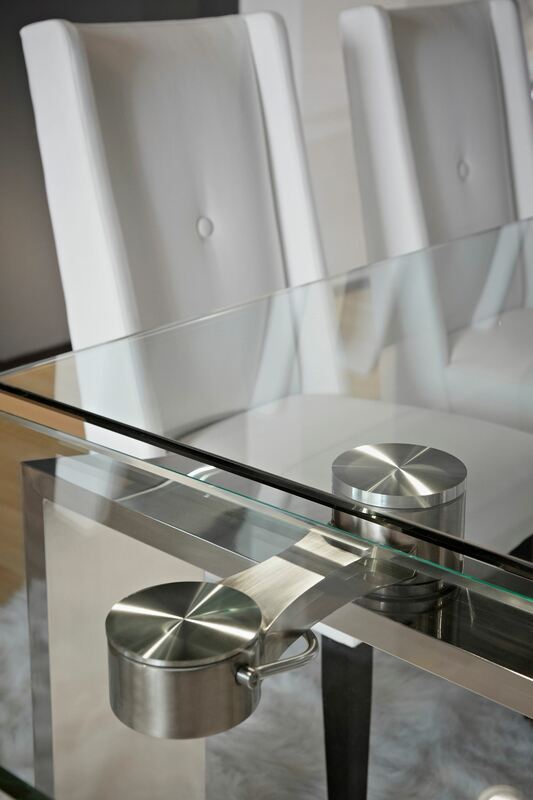 Crafted in polished stainless steel and impressive .75" thick glass. 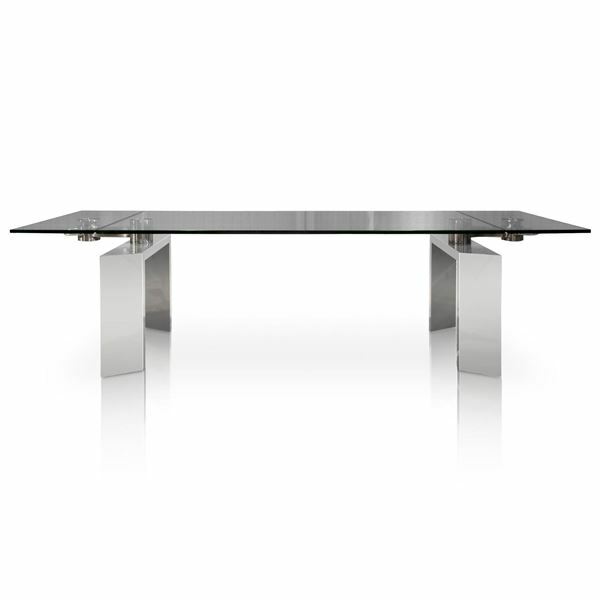 Fully extends to 110" for seating up to 10 people. The leaf extensions are very simple to operate. Each is affixed to a centered pivot point. Simply rotate a leaf all the way around until it getntly stops. 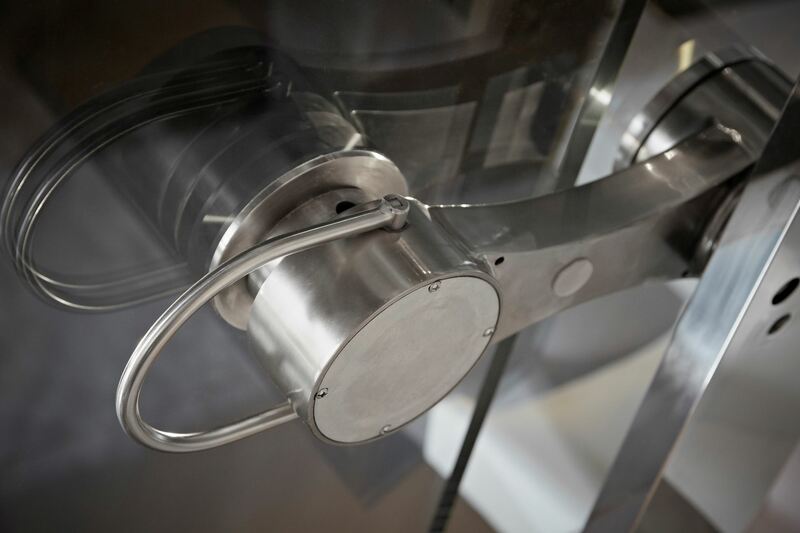 Then, reaching under the pivot point, you will see a U Shaped handle. Simply raise the handle to raise and clamp the leaf into place. And when finished simply lower the handle, which lowers the leaf. And then spin the leaf back under the table. 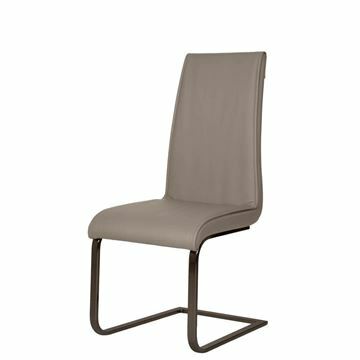 The Seat Belt Dining Chair by Phillips Collection, shown in Beige color way. 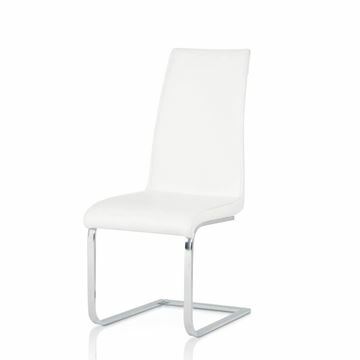 Our Seat Belt chairs are stylish, comfortable…and safe! 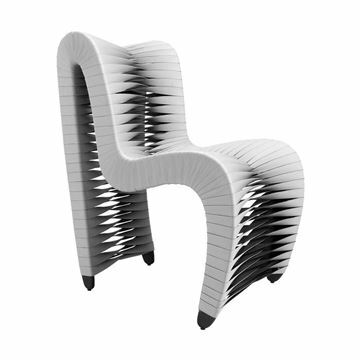 Ergonomically shaped and very comfortable. Each piece utilizes cleverly colorful seat belt straps, which is how the collection got its name. This award-winning collection has appeared on the big screen in feature films like Hunger Games. 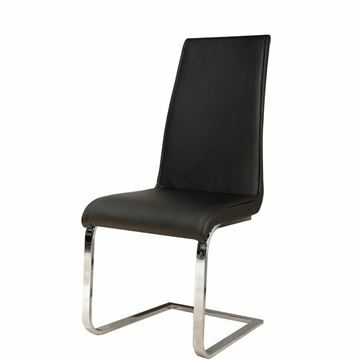 The Seat Belt Dining Chair by Phillips Collection, shown in Black/Black color way. 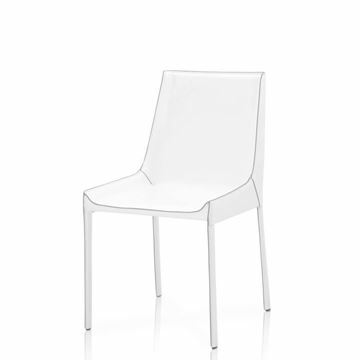 Our Seat Belt chairs are stylish, comfortable…and safe! Each piece utilizes cleverly colorful seat belt straps, which is how the collection got its name. This award-winning collection has appeared on the big screen in feature films like Hunger Games. 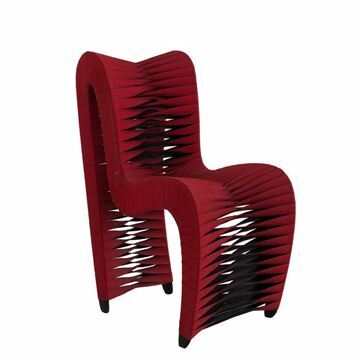 The Seat Belt Dining Chair by Phillips Collection, shown in Black and Red color way. Our Seat Belt chairs are stylish, comfortable…and safe! Ergonomically shaped and very comfortable. Each piece utilizes cleverly colorful seat belt straps, which is how the collection got its name. This award-winning collection has appeared on the big screen in feature films like Hunger Games. The Seat Belt Dining Chair by Phillips Collection, shown in Blue/Black color way.Our Seat Belt chairs are stylish, comfortable…and safe! Each piece utilizes cleverly colorful seat belt straps, which is how the collection got its name. This award-winning collection has appeared on the big screen in feature films like Hunger Games. 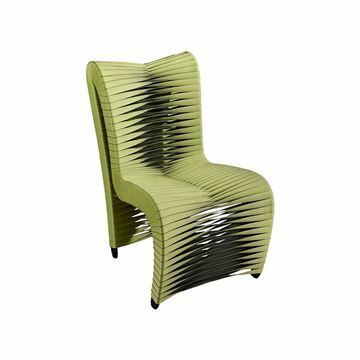 The Seat Belt Dining Chair by Phillips Collection, shown in Green color way. Our Seat Belt chairs are stylish, comfortable…and safe! 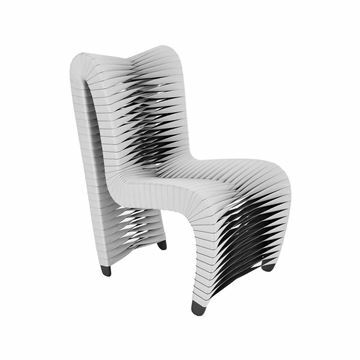 Ergonomically shaped to conform to your body and sit very comfortably. Each piece utilizes cleverly colorful seat belt straps, which is how the collection got its name. This award-winning collection has appeared on the big screen in feature films like Hunger Games. 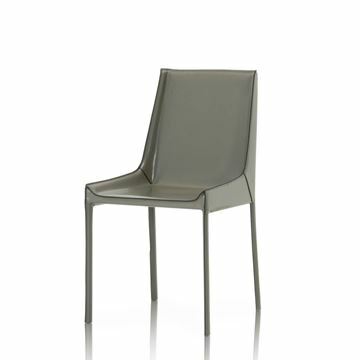 The Seat Belt Dining Chair by Phillips Collection, shown in Grey / Black color way. The main color is grey, and one twist shows the black underside color. The technique creates a truly unique look. Our Seat Belt chairs are stylish, comfortable…and safe! 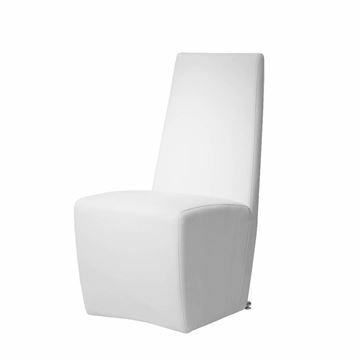 Ergonomically shaped to conform to your body and sit very comfortably. Each piece utilizes cleverly colorful seat belt straps, which is how the collection got its name. This award-winning collection has appeared on the big screen in feature films like Hunger Games. 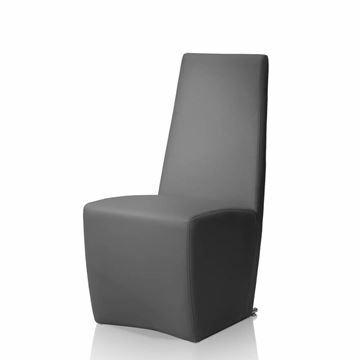 The High Back Seat Belt Dining Chair by Phillips Collection, shown in Grey / Black color way. The main color is grey, and one twist shows the black underside color. The technique creates a truly unique look. Our Seat Belt chairs are stylish, comfortable…and safe! 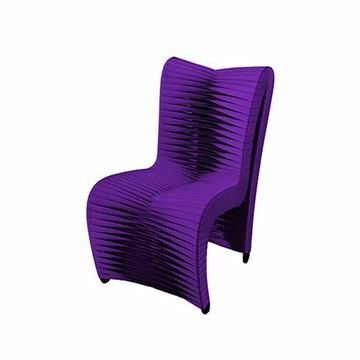 Ergonomically shaped to conform to your body and sit very comfortably. Each piece utilizes cleverly colorful seat belt straps, which is how the collection got its name. This award-winning collection has appeared on the big screen in feature films like Hunger Games.